Leeds Mind and Mindful Employer have collected a suite of resources, tips, tools and actions into a series of steps that can be tailored for any workplace. Read the ten steps or sign up to receive recommendations. There are lots of things managers can do to begin promoting workplace wellbeing. This document from Bristol City Council has short, clear, actionable tips to get you started. 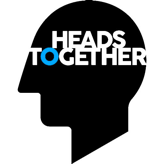 This report follows a third annual survey conducted by YouGov into employee mental health. It reveals that financial insecurity is a major factor in poor mental health for UK workers, and presents calls to action for employers. Remploy's Workplace Mental Health Support Service is free, confidential and available to employees with mental health issues affecting their work. This site tells you how and why to access it, along with promotional posters and videos. Managers deal with health issues on a regular basis—but while they're usually confident in dealing with physical health problems, they may be less so with mental health problems. This guide from Acas is filled with tips and best practice guidance. 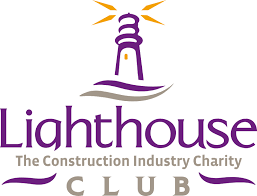 Construction employers who are registered with CITB can claim grants to pay for short training courses, including mental health training. This page has all the information. Sometimes the easiest way to get help is on your phone screen, especially if you're onsite. This app is filled with advice and guidance on all sorts of wellbeing topics for construction workers. This booklet, produced by Mind, is for anyone who is managing their mental health at work. It covers the relationship between work and mental health, managing stress and difficult relationships at work, and what support you can get. The Construction Industry Helpline is the confidential support service for construction workers and their families. These packs of posters and cards can help you spread the word in your workplace. Mind's Workplace Wellbeing Index is a benchmark of best practice and policy. The Index will highlight what your organisation is doing well and how it could improve in its approach to mental health at work. Mind offers a variety of training courses to suit a wide range of organisational needs. The training offers a cost-effective way to promote mental wellbeing in your organisation and at home. Building Mental Health has a list of training organisations who specialise in construction and can deliver mental health first aid training at your site. An estimated 1.9 million adults aged 16–59 experienced domestic abuse in the last year. This toolkit outlines the duty of care employers have to employees and what their role is in preventing and tackling domestic abuse. Stress can affect anyone at any level of an organisation, so it's important for employers to take steps to tackle the work-related causes of it. This guide from Acas introduces the issue and lists practical steps you can take. Good staff wellbeing is essential in education: for cultivating a mentally healthy school, retaining and motivating staff and promoting pupil wellbeing and attainment. This page from Mentally Healthy Schools has information, advice and links to quality-assured resources that can help. As an employer, navigating the absence and return to work process of employees can be a challenge. Healthy Working Lives makes it easy to understand in this section of their website. A really quick primer for NHS line managers to give you confidence in managing sickness absence. This page focuses on staff who have been absent due to mental health issues. Promoting better mental health needs to come from the top. Find out what this looks like and how to put it into practice from this See Me web page. Sometimes a quick video is a great way to get people talking about mental health. These four focus on construction, from recognising warning signs to where to go for help. SAMH provides information on workplace wellbeing activities, in particular support to organise your own workplace wellbeing campaign or Lunch and Learn. The Building Mental Health Charter is a way for construction organisations to demonstrate their commitment to promoting awareness and understanding of mental health, lowering stigma and supporting employees. 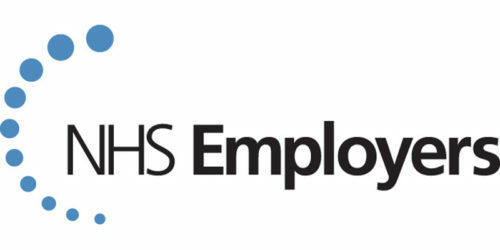 This toolkit provides practical tips and step-by-step information to help NHS employers to implement the six parts of the National Institute for Health and Clinical Excellence (NICE) workplace guidance. This factsheet discusses how to measure sickness absence, the main components of an absence policy, and how to address short- and long-term absence in an organisation. Adults spend a third of their life at work—so work environments play a big part in health and wellbeing. This guide provides information and advice for employers on policies and practices to help promote workplace physical and mental health.